Once your hire us, the work begins! We arrive two weeks prior to begin setting up. We will work to prepare every item for sale by relying on our expertise and research to accurately price each one. We will begin selling high priced items on the appropriate forums to ensure the most gain. We do ALL of the advertising, organizing, setting up, and tearing down for the sale. We provide all signage, take care of newspaper ads, post on craigslist, social media, estatesales.net, estatesales.org, and any other avenue we can find to generate a great turnout. 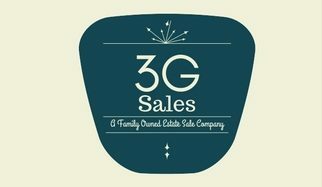 Three Generations Sales will work hard to ensure that we meet your goals in having this sale. We have the ability to sell items online, through social media, craigslist, and in-person. Our goal is to sell as much as possible in order to maximize profit for you, our valued Client. We are insured and bonded to protect both our safety and yours as we ensure to make your sale the most successful. We have the ability to accept credit cards at our sales in order to maximize profit and provide convenience for customers. We tend to fill up fast, so give us a call quickly in order to save your spot! For questions regarding our availability, our cost of services, or general information please don’t hesitate to call (512) 843-3519 and ask for Victoria or send us an email to threegenerationssales@gmail.com! We look forward to hearing from you.